APRIL BUSINESS HOURS & RENTAL RETURN REMINDER!! Happy April Ski Company Friends! We will gladly accept your rental returns early! Junior Rental Equipment is not officially due back until May 1st; however if you know you are done skiing, we'll be happy to take it back! Make sure to note our business hours so you do not make the trip to town and find us closed! STOREWIDE CLEARANCE ON 2018/19 PRODUCT! 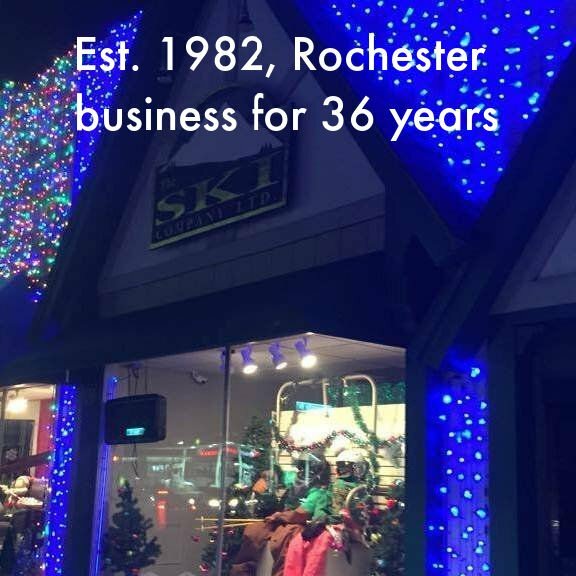 50% off all Outerwear, 40% off all Skis & Snowboard Equipment, 30% off accessories! Help us clear out the store to make room for next year's product!!! SPRING ATTIRE ON SALE TOO! 10% off all NEW SPRING ARRIVALS including Kuhl Jackets, Pants, Shorts & More! Also several lifestyle pieces by Helly Hansen (including awesome rainwear) also at 10% off!